At risk of turning this blog into a movie trivia site, here’s another post on a blockbuster action movie; the 1996 Will Smith film, “Independence Day”. 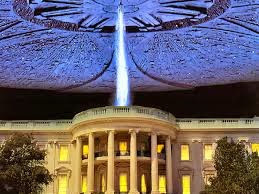 Before we get into the old “Independence Day” movie, though, in case you hadn't heard, there will be a sequel. That was good news; now here comes the bad! The first bit of bad news is that the new “Independence Day 2”, which will be titled “ID Forever Part I” and will be followed up with “ID Forever Part II”, isn't due for release until June 2016. The other bit of bad news is that Will Smith will not be starring in it. The movie, which is set twenty years after the first “Independence Day” will see, however, Jeff Goldblum will be taking on the alien invaders once more. So, obviously no trailer yet for “Independence Day 2”, but here are ten facts about the first “Independence Day” that you probably didn't know. 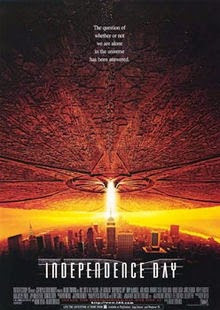 The advertising budget for “Independence Day ” accounted for nearly a third of the movie's entire budget, which included the $1.3m that it cost the studio to advertise the film at the Super Bowl. The extent of the advertising even made Stephen Spielberg postpone the making of his blockbuster movie, “War of the Worlds”. The line “What the hell is that smell?”, that Will Smith said in “Independence Day ”, when he is dragging a dead alien across the desert was unscripted. The scene was shot on the salt flats in Utah and the smell was real. It was the smell of decomposing shrimp in the mud under the hardened salt. Made just before some of the recent major advancements in CGI, it is estimated that more models were used in the shooting of “Independence Day” than in any other movie. It’s now a record that is likely to never be broken. Amazingly, the fire engine that can be seen flying through the air in one scene in “Independence Day” was nothing more than a store-bought kid’s toy. I’m going to have to watch the move again now, to see if I can spot all these models and miniatures because I never noticed them before! The movie was not allowed to be shown in the Lebanon because of a scene where Iraqi soldiers and US soldiers joined forces to back the US in its attack on the alien invaders. Despite all the aerial battle shots in the movies, only one aeroplane in the entire film was real and that was the bi-plane seen crop dusting. The computer that you see in the control room at Area51 was constructed from parts of a massive real computer that was built in 1954 as a part of the US defences against a Soviet bomber attack. The actual computer was broken down and bought by film studios that have been using it as prop ever since. When the trailers for “Independence Day” were first shown on Spanish television, some Spaniards thought it was a news broadcast about a real disaster that was unfolding and some panic ensued. The slime that oozes from the alien was none other than KY jelly. During the outdoor scenes that were shot in the Utah desert, the lubricant had to be repeatedly re-applied because it kept drying out in the desert heat. So then, a while to wait before we can see the new “Independence Day ” movie, but what the heck, we’ve got plenty of other new blockbusters and reboots on the way for 2015. Thanks for reading and please come back to visit again soon.